Please tick the box if you would like to receive our newsletter emails. For years now, London has had the proud reputation of being somewhat of a creative hub, and over the past week the city’s creative collective couldn’t help but show off…again. 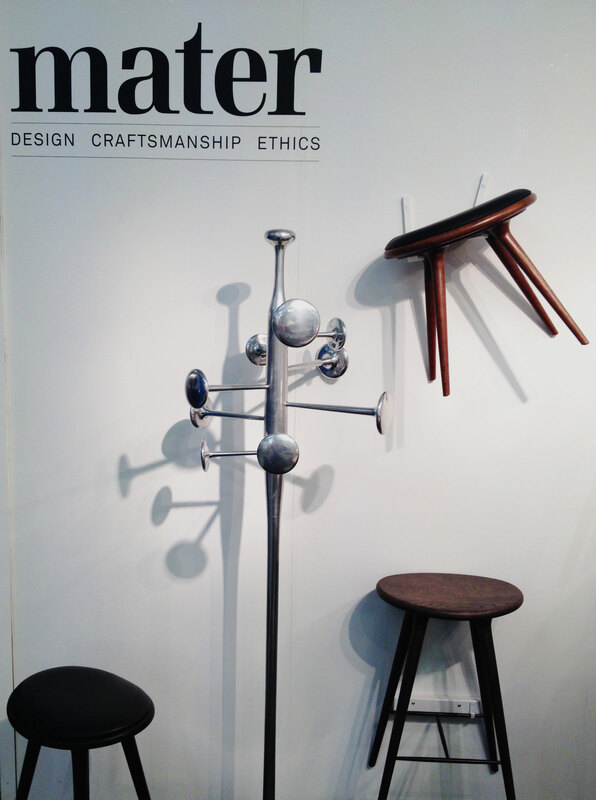 The London Design Festival 2014 took place over 13 – 21 September and gave designers and manufacturers alike, the opportunity to demonstrate their creative clout, flex their muscles and once again prove that this is still one of the world’s most important design events. Now in its eleventh year, the festival consisted of over 300 events and exhibitions at some of London’s finest locations. We decided to take a look for ourselves and visited three of the biggest furniture shows the festival had on offer. 100% Design ran over four days and took place at Earl’s Court Exhibition Centre. Being the capital’s biggest contemporary design show, many of our current designers and manufacturers exhibited their products and we even met up with some new people who we look forward to working with (watch this space!). Split up into six zones – Workplace, Interiors, Kitchen & Bathrooms, Eco, Design & Build and Emerging Brands – the show provided a thorough kid-in-a-sweet-shop experience to any design aficionado! With our interests properly piqued, we plunged headlong into the Workplace zone. The emphasis here firmly fell on hot-desking and acoustics while one of our award-winning furniture designers, Isomi, also launched their latest – and very desirable – range, Edge. Designed by Paul Crofts, the range comprises a modular desk, modular seating and coffee table. 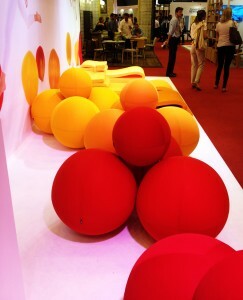 We also came across bunches of balls by Lina Furniture. We found these playful seating units quite nifty – perfect for breakout areas or an informal meeting space, and they add that (often much needed) dash of quirkiness. Over at The Sorting Office on New Oxford Street, designjunction, managed to find that golden mean between commercial and creative, and offered much for the discerning furniture and lighting enthusiast. Last but not least, we popped in at Tent London. In contrast to the above-mentioned shows, they focused on smaller, and in some instances, lesser known designers. In spite of this, the designers offered both inventive and inspiring pieces. 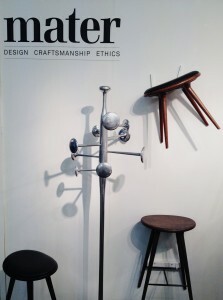 The Danish design brand Mater, showcased their collection of clean and elegantly designed furniture. Applauded for their eco-friendly and sustainable pieces, their sights are firmly set on producing timeless pieces that adds a dash of je ne sais quoi to any setting.